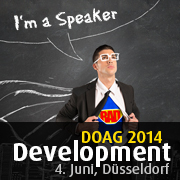 I have presented today on DOAG Development 2014 in Dusseldorf. For all non DOAG members – you can find the german presentation on slideshare too. 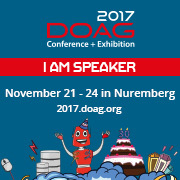 If you speak german and you are interested in quality assurance for your ADF projects you should come and attend my presentation at DOAG Development on 06/04/2014 in Dusseldorf.